Let us now point our ears south down I-25 to Colorado Springs, a city whose music scene has been called many things but is never boring. As with any other reasonably big urban center, some COS bands languish in obscurity, some gain a regional following, and still others do exactly what they want to do, no matter who is listening. That’s what I think is happening with Rough Age. “He’s at that rough age.” Get it? Pretty clever band name. 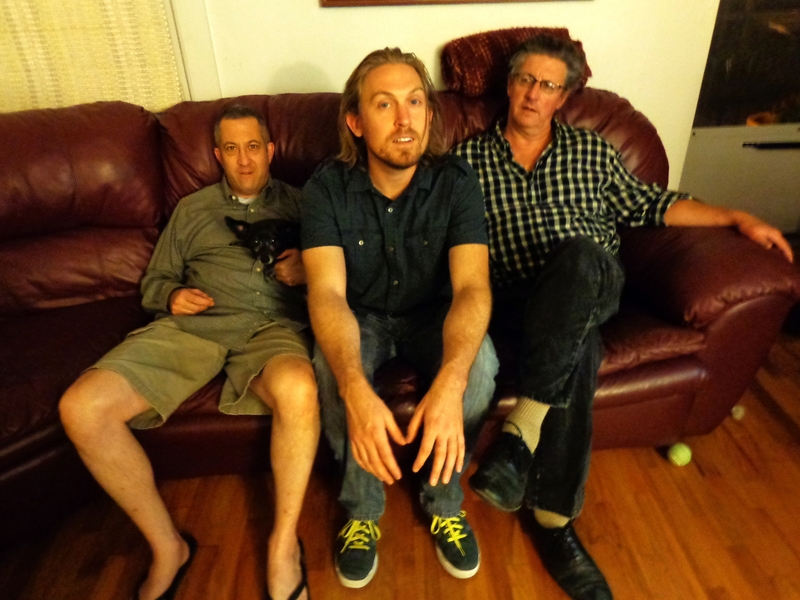 Rough Age flashed lean and hungry onto the scene two years ago, the collaboration of songwriter Nathan Archer with Tracy Santa and Michael Salkind (also a duo called Wild Hares) on bass and drums, respectively. 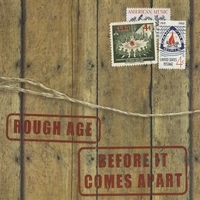 The band’s full length debut, Before It Comes Apart, is available here and here. It’s a very cool album, not what I was expecting, although it must be said I don’t know what I was expecting. I couldn’t pinpoint a central theme, so I made what I thought was a very levelheaded decision: ask the songwriter what it’s about. Speaking of Flammable Parts, let’s do a wee dissection of this tune. Gentle minor strumming, a touchy bass line sticking largely to root notes (thank you), and a very patient beat, some whistling, some organ. Sparse on lyrics, but they’re delivered in a pensive style that has to be compared to Elvis Costello, which should be taken as a compliment. In another life, this might have been a hidden track on King of America. The album was recorded and mixed by a band friend, Dan Nelson, who runs Rainwerks Studios out of his house. Archer says more than half of the album (especially drums, bass, and electric guitar) happened live, much of it in one take. So if you’re looking for something as polished as your church shoes, keep looking. The mix is edgy. I further asked Archer and Salkind how they would describe their music to someone who has never heard them, without making comparisons to other bands. The rock crowd will get into opening track “Adelita.” Santa has a rolling beat going, and there’s a dynamic shift late in the song that could easily free form into epic jam madness in concert. “Achilles” is catchy as hell. It’s poppy. The bass and lead guitars compete to stay memorable, and they both win. Musically, this might be my favorite. There are numerous cross-genre moments on the album. You’ll listen to it a few times before you get a “sense” for it. So where is Rough Age playing live? Next show is Aug. 31 at the Commonwheel Arts Festival in Manitou Springs. I’ll give Nathan Archer the last word, and it’s about being in a Colorado Springs band.